The Syrian Civil War and Refugee Crisis: How Did We Get Here? For this month’s TLV, we are deviating from our normal format to provide context on the current Syrian civil war and immigration crisis. To do so, we have laid out what we hope can serve as a helpful, high-level guide to understanding the Middle East and how we arrived at its current explosive, fragile and complex state. Since the start of the Syrian civil war four years ago, the Middle East has witnessed its largest mass exodus ever. More than half of the 23 million people living in Syria have left their homes, with 4 million of those fleeing the country entirely. Three million Iraqis have also been displaced. Sunnis in Syria are accusing Shiites of ethnic cleansing. Arabs are accusing Kurds of attempting Arabic ethnic cleansing. The Kurds are concerned about entire areas of its “Kurdistan” region defecting to the EU, thus greatly weakening its influence in Syria and Iraq. ISIS is fighting all factions of Syrian rebels, other terrorist groups and, indirectly, the Syrian government. The Syrian government is fighting anyone and everyone they consider opponents, which is most. Everyone is against everyone, but also sometimes working in tandem with lesser enemies to defeat a greater enemy. What is the caliphate and which territories does it or does it not entail? Why are Shiites fighting the Sunnis, and the Kurds fighting the Arabs? Who’s fighting with and against ISIS and why? 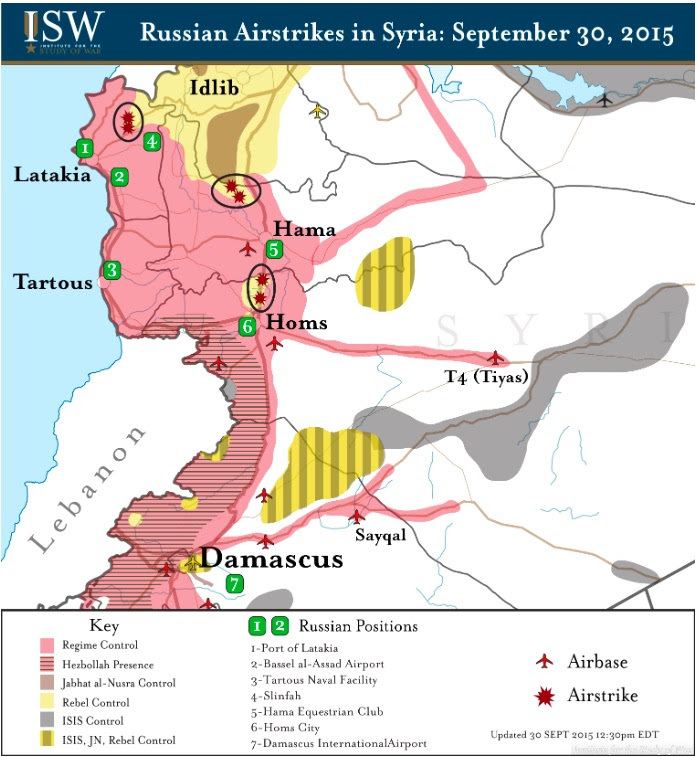 Why is Russia now asserting itself, and its bombs, into the fray? And what has shifted in the region that has finally pushed so many to the point of risking their lives to flee their home country? The Middle East is complicated. To say the least. It’s also relevant to the entire world, with different co-conspirators inserting themselves into various and disparate campaigns to destroy divergent, regional factions, as well as perceived enemies in the Western world. In this special issue of TLV, we seek to unravel the hornet’s nest of circumstances that plague the Middle Eastern world by providing an overview of its millennia-long history and the events that led to its complicated, tenuous state today. We are not promising to make you an expert. Just help you navigate with a bit more clarity current events in a part of the world rich with fascinating history and vexed by internal struggles, for which solutions are elusive and not obvious. While long, we think this “story” will greatly captivate, educate and be well worth your time. First, to grasp the Middle East or read any article about it today, it’s helpful to know some important terms and concepts. The Arab World: This term refers to the 22 Arab-speaking countries of the Arab League founded in 1945 and shown in the following map. 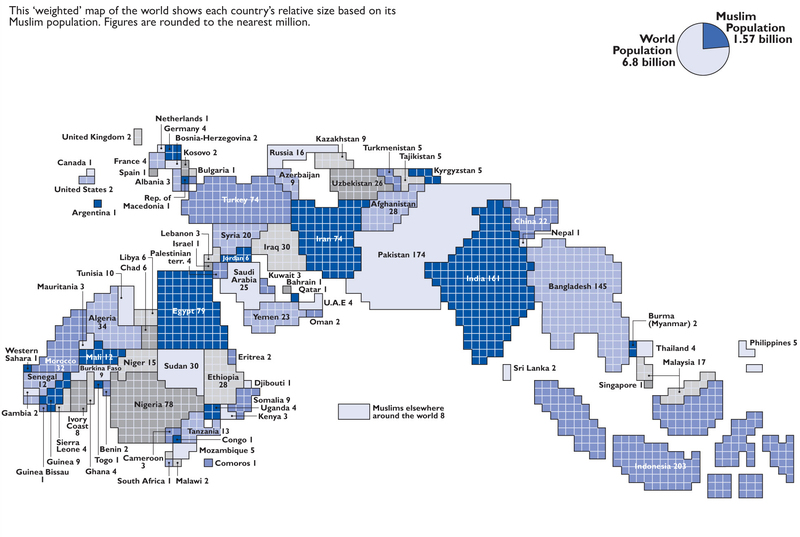 422 million people live in the Arab World. Those who live in the area but do not consider themselves Arab, like the Kurds, usually reject the term. Notably, Iran and Turkey are not considered part of the Arab World. While most counties in the Arab World are predominantly Muslim, the term refers more explicitly to Arab culture and language and is less about religion. Arabs: The term Arab predates Islam and originally referred to people from the Arabian Peninsula, including Christians and Jews from the region. Today, the term Arab refers more broadly to cultural and political traditions and use of an Arabic dialect. While the term is not necessarily religious, most Arabs today identify as Muslim, with only about 10% identifying as Christian (commonly referred to as Coptic Christians). Many people living in the Arab World and Middle East do not call themselves Arab, including the Turks, Kurds, Jews and Iranians (often interchangeable with Persians). Kurds: The Kurds are an ethnic group that resides in a contiguous block that spans parts of Iran, Iraq, Syria and Turkey. Fifteen to 20 million Kurds inhabit this area, commonly referred to as Kurdistan. The Kurds existed prior to the creation of the Islamic faith. In the 6th century, when the Arabs set out to create the first Sunni caliphate, or united Muslim state, the Kurds, who were not yet Muslim, resisted, wanting to maintain their independent Kurdish empire. While most Kurds did convert to Sunni Islam (see below), the Arabs overthrew and killed many Kurdish princes in the process. It is for this reason that the Kurds don’t identify as Arab and continue to seek a country of their own to this day. The post-WWI Treaty of Servres intended to leave room for an independent Kurdish nation, but the then new nation states of Turkey, Iran, Syria and Iraq wouldn’t recognize Kurdish independence. The Kurds have been a marginalized group since, seeking a country of their own as they live splintered by current sovereign boundaries, often engaging in conflict with their non-Kurdish neighbors in their respective designated countries. Caliphate: A form of Islamic government in which a caliph, viewed as a political and religious successor to the prophet Muhammad, is the leader of the entire Muslim community. Belief in the rightful successor to Muhammad caused a division between Sunni and Shiite Muslims that remains today (more detail below). In a caliphate, there is no separation between religion and government. Sunni: After the death of Muhammad, Muslims who accepted Muhammad’s father-in-law, Abu Bakr, as the next caliph became known as Sunni Muslims. They believed that Muhammad’s successor should be elected. About 85% of the world’s Muslims are Sunni. Sunni = elected religious leaders. A trick: think “n” in Sunni = named (or nominated). Shia / Shiite: (The terms Shia and Shiite can generally be used interchangeably, however people are typically referred to as Shiites, not Shias.) After the death of Muhammad, Muslims who believe Muhammad’s son-in-law and cousin, Ali ibn Abi Talib, was Muhammad’s proper successor call themselves followers of Shia Islam. Shiite Muslims believe that Muhammad’s successors should be from his family or be imams, whom Shiites believe are chosen by God. To Sunni Muslims, imams are prayer and worship leaders. To Shiites, they are leaders of the Muslim people and recognize them as the rightful successors to Muhammad. Thus, Shiites do not always recognize the authority of elected Muslim leaders. Shiites are a minority Muslim group, accounting for about 15% of all Muslims. Between 60% and 80% of Shiites live in Iran, Pakistan, India and Iraq. Shia / Shiite = bloodline religious leaders. A trick: think “h” in Shia = hereditary. For more context on Sunnis and Shiites, here’s a quick video. Worth noting: While the Sunni-Shiite divide is significant, they have coexisted peacefully over many historical stretches. Even today there are pockets in the Middle East where Sunnis and Shiites live side-by-side peacefully. The degree of animosity between the two groups at any given point and any given place is often contextual and fluid. Even in regions where they battle, common enemies can sometimes cause Sunnis and Shiites to overlook their divide. 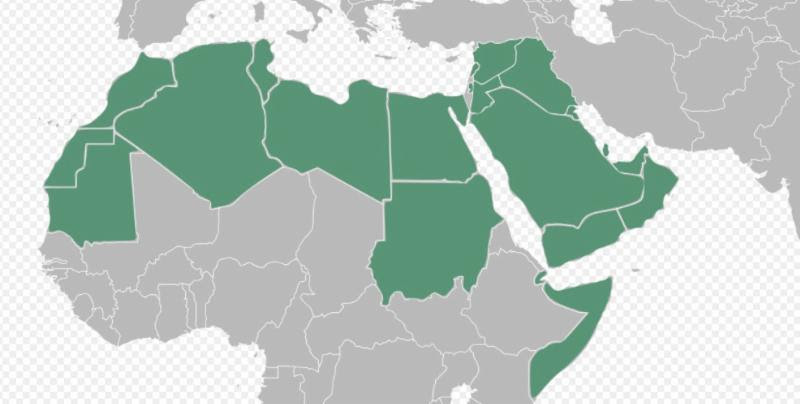 Pan-Arabism: Pan-Arabism, closely related to Arab Nationalism, is a secular movement seeking a unified Arab state including North African and West Asian countries (see Arab World above). Its ideology is generally socialist and anti-Western. Under Egyptian President Gamal Abdel Nasser, pan-Arabism dominated politics in the 1950s and 1960s. During this time, several Arab nations made attempts to create one pan-Arabic state that sought the demise of Israel and eradication of all Western influence. After Israel defeated Arab opponents in the 1967 Six-Day War, and after the failure of any Arab governments to create a viable economic plan for an Arab state, the pan-Arabic movement lost credibility. Pan-Islamism: Pan-Islamism is a political movement that seeks to unify Muslims under one caliphate (Islamic state). Where pan-Arabism seeks an independent, unified state for Arabs regardless of religion, pan-Islamists seek an independent, unified state for Muslims regardless of ethnicity. Jihad: Perhaps one of the most debated words in the Muslim faith. In the most basic terms, jihad is translated as “struggle.” It’s translation as “holy war” is a common misperception. Jihad appears numerous times in the Quran to represent the idea of “striving in the way of God,” meaning how one serves God and maintains Islam on Earth. According to the Dictionary of Islam, jihad has two meanings: 1) the inner spiritual struggle, referred to as the “greater jihad”; and 2) the outer, physical struggle against “enemies” of Islam, called “lesser jihad.” When the term jihad is used in a terrorism context, it is referring to the lesser jihad. Many Muslims do not condone lesser jihad. The long, multi-millennia history of the Middle East – and the many different ethnic, religious, political and economic powers that have risen and fallen in it – is part of what makes this region so difficult to understand. 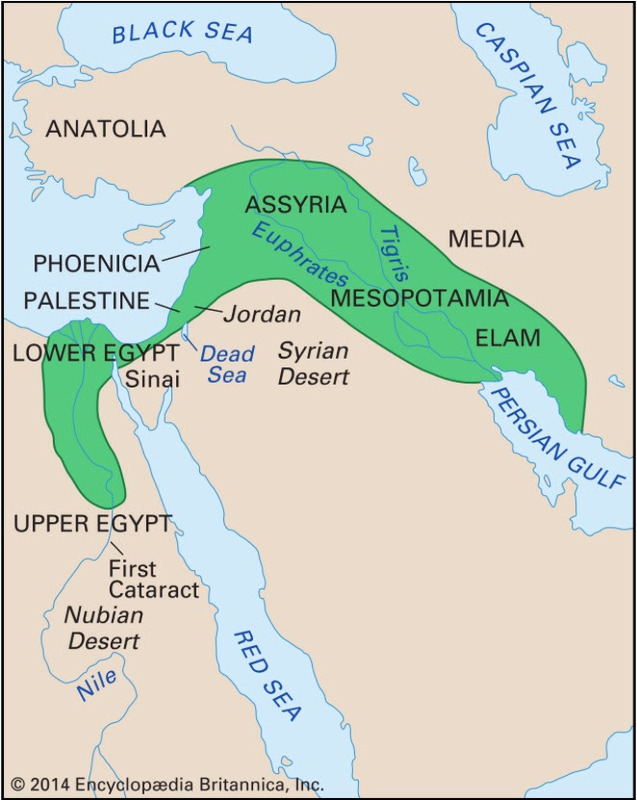 It is believed that somewhere between 9000 BC and 8000 BC, nomads began farming and settling in the Fertile Crescent region (shown in green below) – the land that runs along the Tigris and Euphrates rivers and spans from the Persian Gulf to the Mediterranean Sea and covers parts of present day Israel, Lebanon, Jordan, Syria, Iraq and Turkey. From this so-called Cradle of Civilization were born some of the world’s first complex societies, including the earliest “countries” of Sumer, Babylonia, Assyria/Neo-Assyria, Egypt and Phoenicia. Like many ancient cultures, the people in this region generally developed various iterations of polytheistic religions (a belief in many gods or deities). An important exception was the Hebrew people, followers of Judaism. Judaism is one of the oldest monotheistic (one god) religions, dating back to approximately 1300 BC. The first advanced civilization, the Sumerians, organized around 3500 BC. They had migrated from Central Asia to Mesopotamia (now primarily parts of modern day Iraq, Kuwait and Syria). The Sumerians formed the first city-states with laws, kings, infrastructure, irrigation systems, defense policies and the first known system of writing, cuneiform. Between the peak of Sumerian civilization and the birth of Christ is a fascinating, robust and lengthy history of several empires that rose and fell, conquered and were conquered, came and went. For our purposes here, to provide context on current conflicts in the Middle East, two societies are necessary to mention. In 3200 B.C., the Phoenicians, who developed city-states on a narrow strip of land that today makes up part of Lebanon, began establishing themselves as thriving manufacturers and maritime traders. At their peak, from about 1500 BC to 332 BC, they negotiated with multiple trade partners across the Mediterranean. The Phoenicians were skilled artisans and craftsmen; artifacts of their glass sculptures and purple dye, coveted by royalty, have been found as far away as Britain. Importantly, it was their maritime prowess that led to close cultural links between the Middle East and North Africa, which remain today. In 1250 BC, also along the eastern end of the Mediterranean Sea and just below Phoenicia, in a region then known as Canaan, it is said that the Hebrew General Joshua conquered the indigenous people living in what is today, roughly, Israel. In the biblical Book of Exodus, Egyptian Hebrew leader Moses led his people out of slavery to the “promised land” of Canaan, which would be named Israel. Whether or not there was a General Joshua and whether or not Hebrews did conquer Canaanites is a matter of biblical belief. While archeological evidence indicates some sort of widespread upheaval that displaced Canaanites around 1250 BC, it doesn’t totally align to the biblical story. Around 1000 BC, King David, taking the reins from Israel’s first king, King Saul, united the twelve tribes of Israel into one kingdom and established Jerusalem as its capital. The sum total reigns of Kings Saul, David and David’s son Solomon is known as the “golden age” of Israel unity and prosperity. When Solomon died in 920 BC, the kingdom split into two, with the Kingdom of Israel in the northern half and the Kingdom of Judah in the southern half. The two kingdoms sometimes cooperated and sometimes warred with each other, but they never achieved the prosperity and influence experienced under the previously unified Kingdom of Israel. In 721 BC, after nearly 500 years of Israel’s existence, the Neo-Assyrian Empire conquered the Kingdom of Israel in their quest to expand what was then the world’s largest empire. Then, in 587 BC, the Kingdom of Judah fell to the Babylonian King Nebuchadnezzar II, whose aim was to create the most powerful city-state in the region. The subsequent mass displacement of the Hebrews from the 700s BC to the 500s BC is referred to as the first Diaspora – exile from the homeland – and spelled the end of Israel. Until the 20th century. By the time Christ was born, the (polytheistic) Roman Republic (509 BC–27 BC) had expanded beyond the city of Rome and into the Eastern Mediterranean, marking the formation of the Roman Empire. 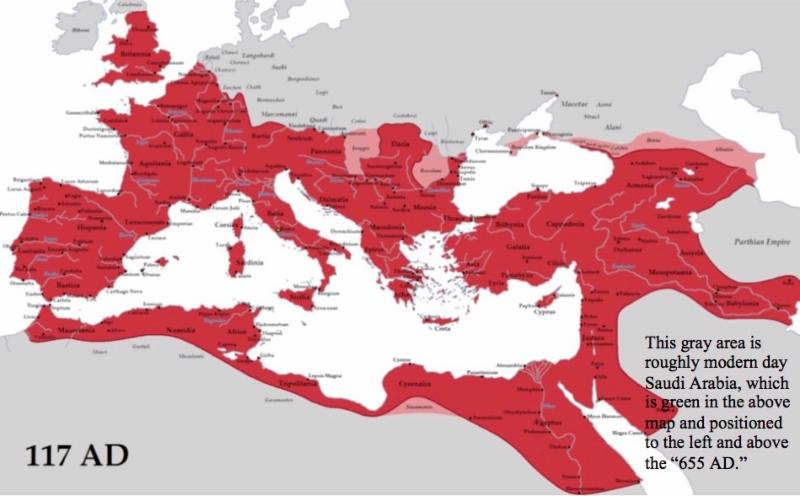 Over the first two AD centuries, the Roman Empire would steadily expand its geographic foothold across Europe, parts of North Africa and the Middle East. Eventually, the once stable empire grew unwieldy due to its sheer size and the logistical complications that presented. In 285 AD, then Emperor Diocletian decided the only way to sustain the Roman Empire was to split it into two administrative eastern and western halves whose leaders would collaborate to protect the entire empire. The western half took Europe and parts of Northern Africa. The eastern half spanned from the Balkans to the Euphrates, and thus included the Middle Eastern areas of the empire. During this time, all citizens of the eastern and western Roman Empire continued to refer to the entire area as the Roman Empire. However historians distinguish between the post-administrative-split Western Roman Empire and the Eastern Roman Empire, more commonly referred to as the Byzantine Empire. This is for two reasons: 1) The western Romans spoke Latin and were influenced by Latin culture, while the eastern Romans spoke Greek and were influenced by Greek culture; and 2) the western half would collapse in 476 AD (the “fall of Rome,” which would give way to the Dark Ages in Europe), while the Byzantine Empire would survive until 1453 AD. In 330 AD, Roman Emperor Constantine moved the empire’s capital from Rome to Byzantium, which he later renamed Constantinople (modern day Istanbul). Constantine declared Christianity the official religion of the empire, making him the first Christian emperor. Through the 7th century AD, the Byzantine Empire sustained several expansions and contractions and varying degrees of control over much of the Middle East. Meanwhile and rounding out control over the rest of the Middle East was the Byzantine Empire’s archrival, the Neo-Persian (or Sasanian) Empire, which was the last pure Iranian empire before the Prophet Muhammad would permanently change the landscape of the Middle East. The Byzantine-Sasanian War of 602 AD–628 AD ultimately ushered the demise of the Persians, but also greatly diminished the Byzantine Empire’s resources, putting both groups in a vulnerable position once Islam was born. Muhammad was born in 570 AD in Mecca (present day Saudi Arabia). It is believed that archangel Gabriel gave him his first revelation in 610 AD. The revelations of Muhammad, the last in line of the Judeo-Christian prophets, were compiled in the Quran, which sets forth the relationship between Allah (God) and his creations. Muhammad’s message of a new socio-religious order rooted in allegiance to Allah was unpopular in then thriving Mecca, where influence and economy were rooted in caravan trade and polytheistic worship of pagan deities. In 622 AD, leaders in Mecca banished Muhammad and his followers north to Medina. This “hijra,”or emigration, marks the beginning of the Muslim calendar (and explains why both Mecca and Medina are Muslim holy cities). After Muhammad’s death, disagreement over his rightful successor caused the rift that remains today. The Sunnis believed Muhammad’s successor should be elected (n = named), while the Shiites believed the successor should be Muhammad’s kin (h = hereditary). Despite the split, Muslim influence spread across the Arab world at breakneck speed. In just over 20 years after Muhammad’s death, through war and conversion efforts, Muslim Arabs had taken control of the entire Middle East, parts of North Africa, Persia and parts of southern Europe. The following map shows where Islam had spread by about 655 AD. In the centuries that followed, a period referred to as the Islamic Golden Age, the Muslim caliphate would become a center of wealth, learning and arts during a time when only the Chinese were as powerful and prosperous. Meanwhile, Europe was suffering through the Dark Ages. For the most part, the Islamic Golden Age saw little conflict between Sunni and Shiite Muslims. The Muslim majority was also generally tolerant of Christians and Jews, and together, followers of each of these faiths collaborated to advance the region economically, culturally, technologically and scientifically. Arab dominance in the Middle East was curtailed when, around 1050 AD, the Turks of the Seljuq dynasty, Sunni Muslim non-Arabs whose area of reign included modern day Turkey, conquered modern day Iran, Iraq, Syria, Palestine and Egypt from the Muslim caliphate. As the Seljuq sultan (a term used to refer to any former Muslim sovereigns of what is now Turkey) gained power and influence in the region, they eroded Byzantine power. Seeking help with defense efforts, the Byzantine Emperor pleaded to Pope Urban II for support. (The Catholic and Pope-controlled Holy Roman Empire (962 AD–1806 AD) had eventually emerged where the Western Roman Empire had left a void.) The Pope responded by calling for Catholics to join in what would become known as the First Crusade (1096 AD–1099 AD), the goal of which was to regain control of holy sites under Muslim control. The Pope also promised to recapture and return previously lost Byzantine territories to the Byzantines. For about 200 years, crusaders from England, France and the Holy Roman Empire battled with Muslims in the Middle East (among other people in Europe). While Seljuq Turks maintained control of their region for about the next 200 years and throughout the crusades, crusaders pillaged the territories through which they traveled in the Middle East. During the crusades, crusaders successfully retook the Holy Land and diminished Muslim influence in the area. They also double-crossed the Byzantines, never giving back their lost land as originally promised, instead keeping it under papal control. This served to weaken the faltering Byzantine Empire that much more. And by the mid-1200s AD, successful crusade campaigns caused the Seljuq sultan to break up into multiple, smaller sultanates. At this point, both the Seljuqs and the Byzantines were vulnerable to the rising Ottomans Turks. The Ottoman Empire dates back to 1299 AD, when Oghuz Turks, a Muslim Turkic tribe from the Central Asian Oghuz Yabgu State, which sits on modern day Kazakhstan, conquered Greek-speaking inhabitants of Anatolia (part of modern day Turkey). 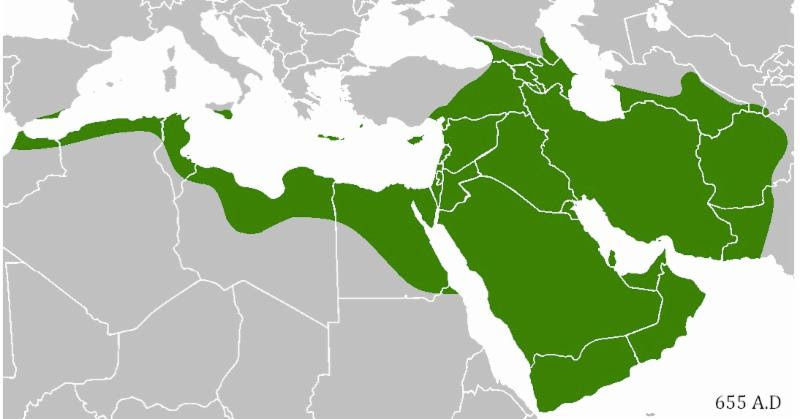 The Ottoman Empire’s expansion precipitated the shift from a sultanate to a transcontinental empire, and Ottomans officially made claim to a new caliphate. The Ottoman Empire was predominantly Sunni Muslim, but it remained generally tolerant of other religions. In 1453 AD, the Ottomans sacked Constantinople, the Christian Byzantine capital, marking the end of the Byzantine Empire. For the first time since the 10th century height of the caliphates during the Golden Age of Islam, the Ottomans effectively united the whole Middle East under one reign. They maintained control for 400 years, making it one of the longest lasting empires in history. It was also one of the most extensive; at its height in the 1600s AD, the Ottomans controlled the Middle East, large portions of North Africa and southeastern Europe. Meanwhile, Europe had entered the Renaissance, and the European industrial revolution laid the foundation for the growth and influence of European capitalism and colonialism, which would serve to slowly chip away at the less economically and technologically advanced Ottoman Empire. Throughout the 1700s AD and 1800s AD, the Ottomans were steadily driven out of Europe. Unable to compete economically, the empire fell increasingly under European financial control. Soon enough, several Ottoman regions fell under total European control. The French annexed Algeria in 1830 AD and Tunisia in 1878 AD. They would also eventually spread their rule into Syria and Lebanon. In 1888 AD, the British occupied Egypt and gained control of the Persian Gulf. In 1912 AD, the Italians seized Libya. And Russia had upped the ante in their centuries-long threat to invade Constantinople and make it a capital of Eastern Christendom. Desperate and debilitated, the Ottomans turned to Germany for help, a fateful move that would put the Middle East on the losing side of World War I. In August of 1914, the beleaguered Ottomans signed a secret treaty with Germany, the only nation willing to support Ottoman defense against the Russians. Germany’s motives for an Ottoman alliance were to prevent Britain from gaining access to Russia and India, which would be possible if Britain assumed control of the Middle East, the geographic conduit to Britain’s imperialistic aspirations. WWI started on July 28, 1914. On November 11, 1914, the Ottomans declared war on the Triple Entente of Russia, Great Britain and France. That the Ottomans had German support was not yet known. The Ottomans defeated the Brits in a series of battles, most decisively at Gallipoli (now part of Turkey), causing Britain to re-think its strategy. The Brits began targeting the Ottoman Empire’s more vulnerable Arab provinces, where many local Arabs wanted to emerge from what they perceived as Ottoman oppression. In 1915, Sir Henry McMahon, the High Commissioner of Egypt, began secret correspondence with Hussein ibn Ali, the Sharif of Hejaz (a region now part of Saudi Arabia that includes the holy lands of Mecca and Medina). Giving birth to the pan-Arab idea, Sharif Hussein dreamed of an Arab nation state that would span from the Taurus Mountains in southeastern Turkey to the Red Sea and from the Mediterranean to the Iranian border. McMahon promised British support in establishing Arab independence if Sharif Hussein would lead an uprising against the Ottomans. The Arabs held their end of the bargain. The Brits did not. Far more important to the Brits were their French allies, fighting the brutal and deadly battle with them on the Western Front under German control. Simultaneous to McMahon’s “deal” with Sharif Hussein, British war diplomat Mark Sykes was hatching a secret plan with French war diplomat George Picot to divide up the Ottoman Empire and its Arab provinces upon expected Allied victory. The Sykes-Picot Agreement of 1916 carved up the Middle East along arbitrary lines, such that France would take control of the northern territory from the Mediterranean to Mosul, and Britain would assume control of the southern areas of the Middle East to secure their desired route to India (then a British colony over which Britain had begun losing control). These divisions ignored ethnic and confessional boundaries in the Arab and Kurdish regions and made no mention of Arab statehood. Thus, they laid the foundation for the internal Middle Eastern conflicts that remain explosive today. Sykes-Picot was made public in 1917. But by then, the Brits had already signed another conflicting agreement, the secret Balfour Declaration. This pact promised the Zionist Federation of Great Britain “the establishment in Palestine of a national home for the Jewish people.” It is thought the Brits did this not only to feed their voracious imperialistic appetite, but also to create a British-loyal Jewish state in the Middle East and benefit from regional support in the war. This declaration set the foundation for the post-WWI British Mandate of Palestine, which decreed Britain the power to carve out part of Palestine for Jewish residence. Meanwhile, Arabs continued to fight with the Allies to extinguish Ottoman and German control across the Middle East. The US, under isolationist, anti-imperialistic President Wilson, had initially publicly proclaimed neutrality and no interest in joining the war. But when German U-boats sank the British cruise ship Lusitania, killing 1,198 civilians, including 128 Americans, a series of events unfolded that would eventually cause a reluctant US to enter the war in 1917. The US brought enough resources for the Allied powers to be able to invade Germany in 1918, leading to collapse of the Central Powers (Germany, Austria-Hungary, the Ottomans and Bulgaria) and the end of the war. By the time President Woodrow Wilson arrived in Paris for peace negotiations in 1919, he found the British and French fighting over control of the Middle East. The Brits no longer wanted to cede control of Mesopotamia (part of modern day Iraq, Syria and Kuwait) to the French, as was outlined in the Sykes-Picot Agreement, for one very important and obvious reason: Oil had just been discovered in the area. President Wilson suggested a solution: Ask the people in the Middle East what they wanted. For two months, two Americans, businessman Charles Crane and theologian Henry King, traveled the Middle East to interview hundreds of Arabs. Their findings were documented in the King-Crane Report, which stated that locals in Syria had no interest in French rule, and Palestinians had no interest in inclusion in a British mandate. London had successfully thwarted King and Crane from conducting any interviews in Mesopotamia (oil oil oil!). King and Crane recommended a mandate that would unify Syria and Palestine to be given to “neutral” America. The thinking was that because President Wilson had no imperialistic intent to conquer and control these regions, unlike France and Britain, he would oversee the implementation of local preferences. The report also suggested that Sharif Hussein of Hejaz become the head of an Arab state. Under pressure from France and Britain, the report was buried and not made public until three years later. By then, France and Britain had carved up the Middle East into four new countries whose borders directly opposed the King-Crane Report recommendations. France divided its mandate into the states of Lebanon and Syria. Britain took command of Iraq, which they created from sections of Mesopotamia, and Palestine. (Israel was not yet a country). They also established the buffer state Transjordan (now Jordan). Egypt was able to negotiate its independence from Britain in 1922. While Sharif Hussein was not given his Arab state, Britain did agree to recognize him King of the Hejaz, leaving him to rule that section of Arabia. A series of internal struggles in Arabia would follow and eventually lead to the founding of Saudi Arabia in 1932. Very important here is that oil would not be discovered in Saudi Arabia until 1938, making the region of little interest to a WWI-era Britain. The King-Crane Report is arguably one of the world’s most significant missed opportunities in modern history. To this day, many in the Middle East do not recognize the legitimacy of the borders drawn up by France and Britain after WWI. Like much of the historical power in the Middle East, control changed multiple times in the land that is now Palestine. After the Jews were forced out in the first Diaspora, the land was under Muslim control, then Roman, then the control of Ottomans through WWI. In the mid-1800s AD, the term Palestine came into common use to describe the region where Israel/Palestine now sit. For centuries, many Jews had sought to reclaim the land on which the Kingdom of Israel once sat from 1250 BC to 721 BC. The desire to reclaim this area was formalized in the 1896 AD establishment of the World Zionist Organization, which remains an active organization today. It was the Zionists’ sole mission to create a legal homeland for Jews in Palestine, an ambition that grew more fervent as Jews faced mounting anti-Semitism in Europe. Emboldened by the Zionist movement, nearly 25,000 Jews, mostly from Eastern Europe, had begun to immigrate to Palestine in the early 1900s AD. By 1914 and the start of WWI, 40,000 more had immigrated. As a consequence of Britain appointing specific areas of Palestine for Jewish habitation through the British Mandate of Palestine, hundreds of thousands of additional Jews immigrated to Palestine in the 1920s and 1930s. This mass migration sparked decades of unrest in the Arab community and a series of Jewish-Arab battles. The region was that much more overwhelmed when hundreds of thousands more Jews arrived in the late 1930s and 1940s as they fled Nazi persecution. In 1947, the United Nations assumed responsibility from Great Britain for the Zionist-Arab problem, but failed to find a solution all parties could agree on. In 1948, Arabs and Jews engaged in several battles. A string of Jewish victories would embolden the May 14, 1948 official proclamation of the state of Israel. The Brits withdrew troops, and days later, Arab armies from Jordan, Egypt, Lebanon, Syria and Iraq swarmed Israel. They were quickly defeated. Armistices would then establish Israel’s borders, mostly along the terms set forth in the British Mandate of Palestine. To the Palestinian, the Israelis took their already occupied, rightful home out from under them. To the Israeli, a relentlessly persecuted people were finally given a country of their own, on the land that once housed their Kingdom of Israel. Both factions feel lawful ownership of the land on which modern day Israel and Palestine battle for control. After the official creation of Israel, neighboring Arab states, which immediately wanted Israel eradicated, fought over the best path forward. In the 1960s, surrounding Arab governments voted to create the Palestinian Liberation Organization (PLO), which was controlled by Yasser Arafat. Arafat and his Fatah organization had gained notoriety for its many successful armed operations against Israel in the 1960s. However, Israel would again prove its military prowess in the 1967 Six-Day War. Israel doubled the land under its control, displacing 500,000 Palestinians, who fled to Egypt, Syria, Lebanon and Jordan. The PLO responded by introducing use of terrorist tactics on Israeli targets (more on this in the following section). In 1974, Arafat made his first appearance at the United Nations, declaring his aim to liberate Palestine and indicating peace with Israel was impossible. This led US State Department official, Harold Saunders, to acknowledge that “legitimate interests of Palestinian Arabs must be taken into account in the negotiating of an Arab-Israeli peace” – the first statement of its kind from the US. What followed in the ensuing decades were a series of localized mini-wars between Israel and various Arab states and Muslim groups, insurgencies, diplomatic attempts with interventions from multiple countries, failed peace-making efforts, terrorist attacks, leadership and control changes and several shifts in the Israeli and Palestinian boarders – with no meaningful hope of resolution even today. For those who want to dig deep, the following link provides a great summary of events from the 1970s to present day around the Israel-Palestine conflict. Islamic terrorism, and modern international terrorism, track back to the Six-Day War in 1967, when Palestinians realized they could not defeat Israel militarily. It was around this time that Palestinians began targeting civilians beyond immediate areas of conflict, most infamously in the kidnapping and killing of Israeli athletes during the 1972 Munich Olympics. Taking cues from revolutionary movements in Latin America, North Africa and Southeast Asia, where there was a shift away from rural guerilla warfare and towards urban assaults, Palestinians made use of modern communication and transportation systems to escalate urban attacks. By the end of the 1970s, the Palestinians had created a vast secular network for the spread of terrorist attacks worldwide. Simultaneously, and as a consequence of the failure of 1967 Six-Day War leading to the demise of secular Arab Nationalism efforts, many Islamic movements, the Muslim Brotherhood being an example, emerged to counter secular nationalism. What followed were a series of conflicts across the Arab world between those wanting national, secular governments and those seeking Islamic rule. Most notably from this time was Iran’s turn to revolutionary Shia Islam under the anti-secularist, anti-American Ayatollah Khomeini. In 1979, the Iranian Islamic revolution sparked fear across the Arabic and Western worlds that similar radical revolutionary activity would spread across the Arab World. That same year, the Soviets invaded Afghanistan to support the Afghan communist government against the anti-communist Muslim guerillas. This precipitated ten years of fighting, during which the US funded arms and military training to the Afghan Muslim rebellion. During this ten-year war, volunteers from across the Arab world joined the Afghani effort to defeat the Soviets, including a Saudi named Osama bin Laden. Many of these imported Arab soldiers were trained at newly established military training sites across Arabic countries, heavily funded by the US and other Muslim countries. (In a fit of tragic irony, it is alleged that the CIA trained bin Laden directly.) These training sites laid the foundation of insurgency and terror training networks that remain today. During the 1980s, the West became preoccupied with state sponsored terror, with specific concern about the Iranian- and Syrian-backed Shia terrorist group Hezbollah, which introduced the suicide bomber. State sponsorships from Iran and Syria were found to support Libyan intelligence officers in carrying out the bombing of Pan Am Flight 103 in 1988. The fall of the Soviet Union left many areas destabilized, without meaningful governments and therefore susceptible to terrorist activity and infiltration. Most notably, a destabilized Afghanistan gave rise to the pan-Islamist al-Qaeda in 1990 and the Pakistani-supported, Muslim fundamentalist Taliban in 1994. The Taliban grew in popularity and coordination, functioning as the government of Afghanistan from 1996 until December 2001. The Taliban were heavily disempowered after the US-led invasion in response to September 11. Recent years have seen the Taliban regaining some power. They are said to be responsible for 75% to 80% of Afghani civilian causalities from 2010 to 2012. Just this week, the Taliban captured Kunduz, the fifth largest city in Afghanistan, marking its largest military victory since 2001. Founded by Osama bin Laden around 1990, al-Qaeda is a Sunni network that seeks a unified and independent Muslim state. Thus, it is generally tolerant of most Islamic sects, with the only exception being a staunch opposition to Shia Islam. The organization serves as an umbrella network for multiple, smaller terrorist groups across multiple countries. Funding for al-Qaeda comes from a complex fundraising network fueled by individual fundraisers, corrupt charities and diverted Islamic charity donations (unbeknownst to donors and usually facilitated by corrupt imams). With these resources, al-Qaeda provides terrorist groups in its network financial support, manpower, transportation and training in their pursuit of lesser jihad and ridding the Middle East of western influence, particularly that of America and Israel. al-Qaeda militants believe it is their duty to kill Americans and our allies, and have obviously done so in numerous US Embassy attacks, the U.S.S. Cole attack and on September 11. Despite the death of Osama bin Laden in 2011, al-Qaeda remains an active terrorist organization in the Middle East and North Africa. In 2011, the Arab Spring offered the first great hope in overturning oppressive dictators across the Arab World. Often referred to as the “Twitter Revolution,” civilians living under oppressive regimes used the social media tool to organize, galvanize and unite in efforts to overthrow their respective dictators. The revolts began in Tunisia, where Twitter emboldened oppressed Tunisians to rise up and unseat their then president of 22 years. Twitter helped spread the word to civilians in other Arab nations, leading to a series of revolts across the Arab World. While the Arab Spring was significant in its attempt to break a regional legacy of suppression, four years later, the uprising itself has a mixed legacy. While regimes were toppled in Tunisia, Egypt, Libya and Yemen (with in-fighting following in the latter three), the detrimental effects of the movement remain most pronounced today in Syria, a primarily Sunni Arab country ruled by the Shiite dictator, Bashar al-Assad. President Bashar al-Assad refused to succumb to pressures from the Arab Spring. Instead of stepping down, he doubled down and chose to go to war with his own people. His goal is to push out or eliminate his opponents and gain tighter rule over the areas where he still has control, particularly Damascus. Most of the rebels in Syria are Sunni, who are the majority in the country. Most of Assad’s defendants are Shiite, from within and outside of Syria, and he has degrees of support from Hezbollah, Iran and Russia. To rout out Sunnis and opponents from the capital city of Damascus, Assad has inflicted repeated airstrikes. In just a few years, the city has been transformed into an enclave of Iranian-trained Shiite militia and their families. It’s estimated there are only 500,000 civilians left in the Damascus area – about one-third the number there two years ago, and few Sunnis remain. Since 2011 and across Syria, Assad and his allies have applied ruthless tactics to oppress and kill people they consider to be threats or opponents, including detention, torture, mandatory drafting into the army for military-age men, starvation and an aerial bombing campaign of opposition-held areas. More than 200,000 people have been killed in Syria since 2011. 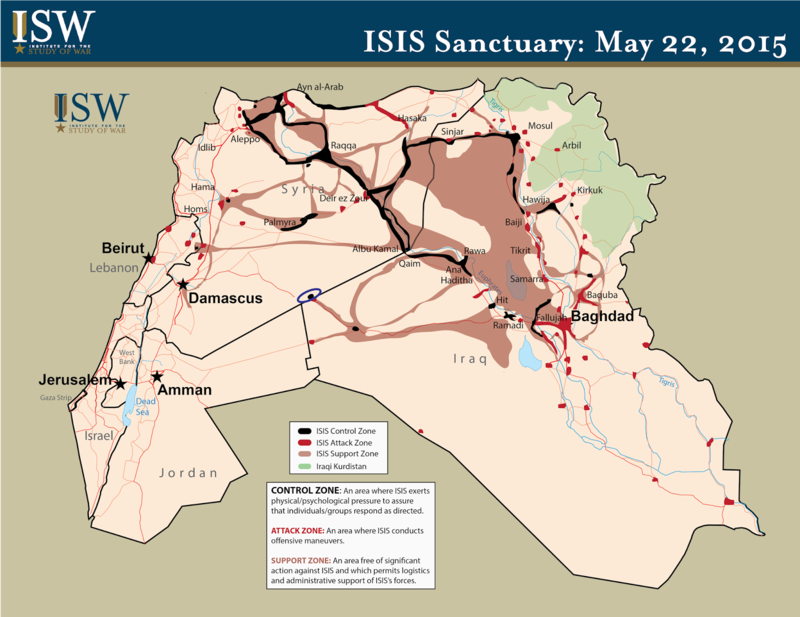 Meanwhile, the terrorist group that went by the name of the Islamic State of Iraq (ISI) – a militant Sunni, jihadist group formed as an al-Qaeda affiliate – had been gaining ground in their pursuit of forming an Islamic caliphate in Iraq. When the US invaded Iraq in 2003, Saddam Hussein’s Sunni minority had suppressed the country’s Shiite majority. Once Hussein’s regime was toppled in 2003, civil war broke out between the Sunnis and Shiites, leaving Iraq destabilized and vulnerable to terrorist groups like ISI. Once Syria fell into civil war, ISI saw an opportunity to expand their caliphate. They then became known as ISIS, the Islamic State of Iraq and Syria, with the goal of creating a Muslim caliphate from areas of Syria and Iraq and ruling under strict, oppressive Sharia law, the most radical interpretation of the Quran. In Syria, Assad’s government is fighting several Sunni rebel groups, but ISIS is not technically considered one of these groups. But since ISIS wants to take over Syria, they are also in a degree of war with the Syrian government. ISIS has been so radical and violent that it is fighting almost all factions of the Syrian rebel armies and other terrorist groups. Where ISIS has gained control in both Iraq and Syria, they have imposed rules so extreme that they’ve shocked even al-Qaeda hardliners, many of whom have withdrawn support. Almost 20,000 foreigners have joined jihadist groups in the past two years, and ISIS has been able to lure most of them. 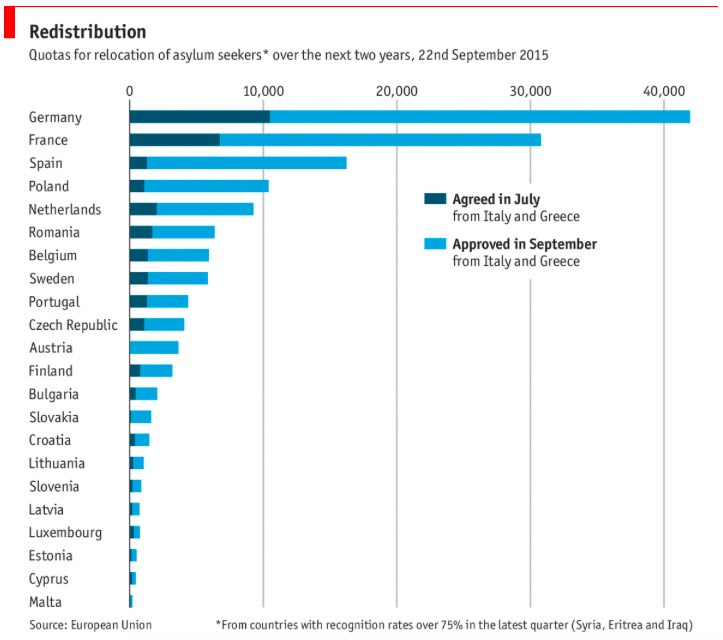 About one-fourth has come from Europe, and it’s estimated that about 25% to 40% of them have now returned to Europe. In a new report from the International Center for the Study of Radicalization, 58 of these jihadist defectors have provided insights into the workings of ISIS – critical in the effort to defeat them. The primary reason many reported joining ISIS to begin with were the horrors committed by Assad in Syria. Some defectors admit to joining for the promise of new cars, luxury items and paid off debt, which they soon learned were empty promises. In deciding to escape ISIS, several mentioned disillusionment by ISIS’ willingness to brutalize other Muslims and non-combatants, like aid workers and journalists. Defectors quickly learned the mentality of ISIS: If you’re against us, we will kill you. ISIS expects to be submitted to entirely and for all matters. The torture, havoc and murder unleashed by Assad and ISIS have hit fever pitch, causing Syrians to flee in the millions to neighboring countries and Europe. Earlier this year, reports of people drowning in the Mediterranean Sea in their desperate attempt to flee Syria began to surface, indicating intensification in refugee activity. Assad, for his part, wants opponents out of his way. The Syrian government has even simplified the passport process to help rid the country of enemies, fueling the refugee crisis that much more. As of September 2015, nearly 12 million Syrians (half the Syrian population and 6 million of whom are children) have been driven out of their homes. About 7.6 million have been displaced within Syria, and the other 4 million have fled to neighboring countries of Turkey, Lebanon, Iraq and Jordan and increasingly Europe. The recent influx of migrants into Europe is in large part a result of Syrians witnessing the alternative: refugees in neighboring Middle Eastern countries are living in underfunded, UN-run refugee camps, which don’t hold the promise of a hopeful future. Thus, more and more people are willing to risk their lives to cross the Mediterranean Sea into Europe. Some 2,700 people have died at sea this year, most notably the three-year-old Aylan Kurdi, whose body washed ashore in Turkey and was plastered on newspaper and magazine covers across the world. Hundreds of thousands of refugees have flooded into Europe, overwhelming front-line countries, like Greece, Italy and Hungary, and sparking a global debate about how Europe, and other countries, should attempt to deal with and afford scores of migrants. In July, Europe had established a quota system to redistribute refugees, which proved inadequate when yet more immigrants poured in. Last week, the EU approved the following quota plan to distribute the 120,000 asylum seekers in Greece and Italy. Yet this plan only accounts for a small portion of the 480,000 refugees that have arrived in Greece and Italy alone in this year. Several hundreds of thousands are in the process of applying for asylum in Europe and awaiting a response. As leaders from all over the world gathered at last week’s United Nations’ summit in New York, they agreed on one thing: the global danger imposed by extremists. There is less agreement, however, on how to curtail the impact of extremists and terrorists. As the refugee crisis continues to unfold and impact more people and more countries, the world continues to grapple with how to thwart the impact of ISIS. The situation is so severe that the US is considering cooperating with Assad-supporters Russia and Iran (who have an interest in defeating ISIS). This could explain at least one reason why the US has agreed to lift sanctions on Iran. Thus, it appears that Putin’s airstrikes are a clear and strategic affront to the US, but under the noble guise of fighting ISIS. (This is, at least, what many Russians probably believe, as Putin’s propaganda machine is hailing him as humanity’s savior for attempting to defeat ISIS “evil doers.”) To serve his ultimate imperialistic ambitions, Putin looks to be attempting to assert his influence in the Middle East and appear more powerful than the US. The Middle East just got that much more complicated. Will it work? Or might it backfire on Putin and actually help the US? Yesterday, Obama said in a press conference he’d be open to working with Putin on moving Syria out of civil war if and only if their joint plan includes removing Assad from power. Otherwise, Obama believes, Russia’s airstrikes will only lead to more bloodshed and an eventual quagmire. Could this be Obama’s attempt to call Putin’s bluff? Fourteen years after September 11, and 14 years after we launched a series of wars in the Middle East, lost thousands of Americans, lost thousands of civilians, supported and thwarted countless insurgencies and given witness to yet more emboldened terrorist organizations, the situation looks as bad as ever, for everyone involved. And a path out looks as challenging as ever. It is said that Europe continued to fight WWI in the so-called European Civil War through 1945, and Russia / the Soviet Union through the end of the Cold War in 1990, when post-WWI borders were finally accepted. 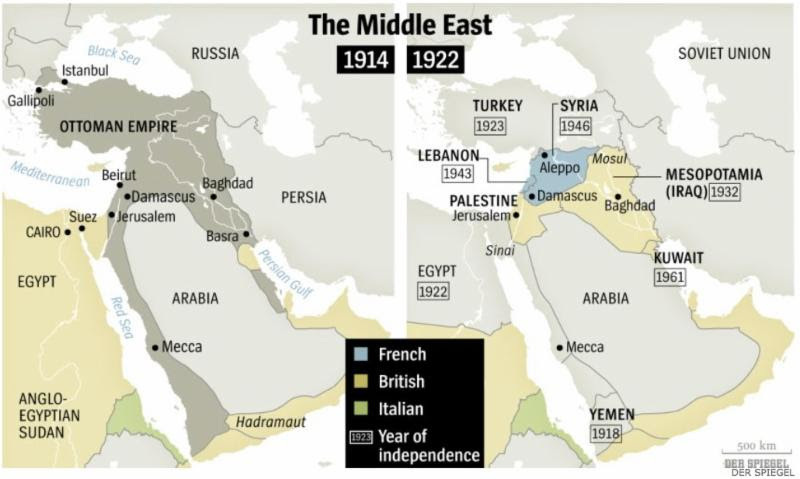 For how long will the world continue to fight World War I in the Middle East? The Middle East today looks a lot like Europe after the WWI Treaty of Versailles: A mass of disparate people living under a map that disregards the region’s ethnic and religious realities. This weighted map shows every country in the world by the size of its Muslim population. 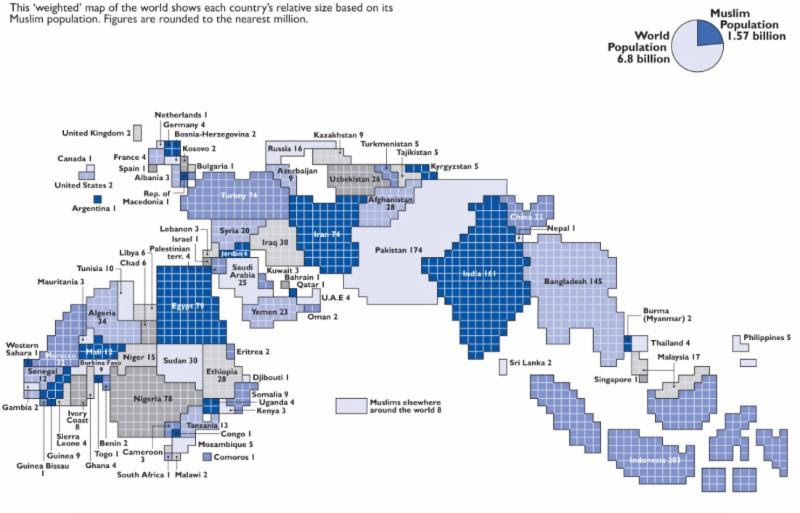 Countries with larger Muslim populations appear bigger and quickly reveal that the Muslims of the Middle East are only a fraction of the global Muslim population. Among the largest Muslim populations are the South Asian countries of India, Pakistan and Bangladesh. Indonesia is home to the largest Muslim population. As of 2014, Muslims accounted for 29% of global population, with 53% residing in Africa, 32% in Asia, 8% in Europe, 1.8% in North America and just over 1% in South America and Oceania. Click here or the image to see an enlarged version of the map.